Learning how to drive is a lot easier than it looks. It looks intimidating from the passenger's seat, or in films, but once you get behind the wheel and gently put your foot on the pedal, the process becomes very intuitive. Learn to take things slow in the beginning, you'll be well on your way to mastering the basics. This article assumes you'll be driving a vehicle with an automatic transmission. If you're not driving an automatic, you'll need to read about the basics of driving stick-shift (manual transmission) instead, although the general process will still be similar. 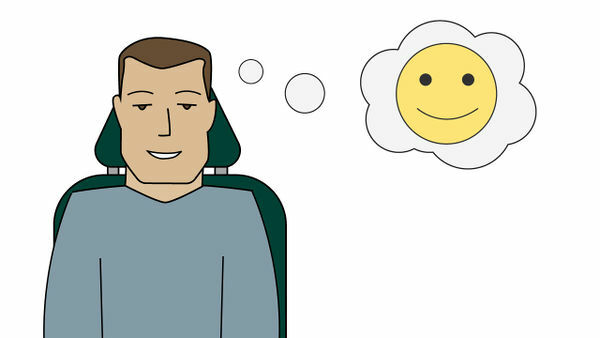 You can adjust your seat forward and backward, as well as up and down. Some cars will have electronic controls (usually on the left side of the seat), while older cars will usually have a lever underneath the seat that lets you control the position of the seat. But you can usually tell the difference. In an automatic car, the two foot pedals control acceleration and braking, respectively. 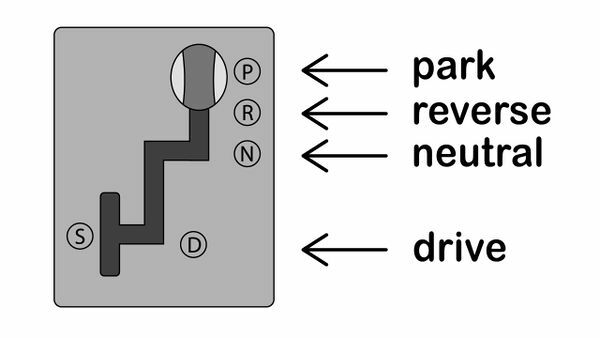 The rightmost pedal (which is usually smaller than the other pedal) is the accelerator, and pressing down on it makes the car move; the harder you press down on it, the faster the car will move. The pedal to the left, which is usually larger than the accelerator; is the brake pedal, and pressing down on it slows the car down. Even if you feel more confident using your left foot, always use your right foot to reach both pedals. It will feel strange at first if you're left-footed, but getting used to it is very important because it's proper technique and ultimately much safer. Never use both feet at once to reach the pedals. Only use one foot — your right foot — to use each pedal. This will make it impossible to accidentally press down on both pedals at the same time. Your car should have three mirrors: one rear-view mirror, which allows you to see directly the rear windshield behind you, and two outside mirrors which let you see to either side of the car and protect you from blind spots. 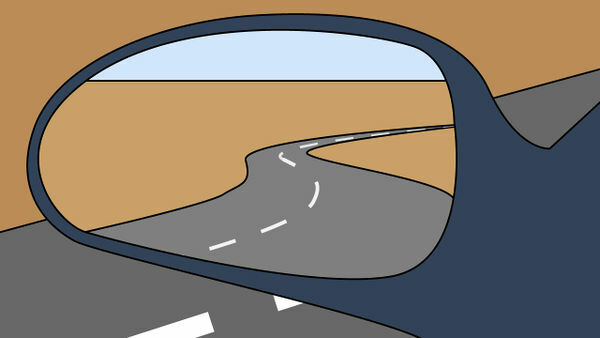 Your rear-view mirror should be positioned so that when you're in your normal driving position, you can see directly behind you and as much of the rear windshield as possible. The Society of Automotive Engineers has one recommendation for how to position your outside mirrors in order to eliminate blind spots. It recommends positioning the mirrors further outward than normal, so that they just overlap with the viewing angle of the rear-view mirror. Although disorienting at first, this positioning actually allows the driver to see cars in their blind spots which they might otherwise only be able to spot by looking over their shoulder. The parking brake is a longer lever with a button on the very tip of it. When the parking brake is pulled up, it helps lock the car into place on the ground, ensuring that it doesn't move. When the brake is let down, it is disengaged and the car can freely move. Make sure that your parking brake is disengaged before you start driving. The gear stick is usually positioned in between the two front seats of a car, and it controls the gearbox (park, neutral, drive, reverse). Sometimes in certain vehicles, the shift lever is on the right-side of the steering wheel. If your gear stick is engaged in Park and you turn your ignition on, the car won't move forward no matter how hard you press down on the accelerator. If your gear stick is in Neutral, your car's natural momentum will continue to move it forward. If your gear stick is in Reverse, your car will move backwards instead of forward when you take your foot off the brake. If your gear stick is in Drive, your car will move forwards when you take your foot off the brake. These gauges display to the driver how much fuel the engine has left, how fast the car is going, how hot the engine is, and how many RPM (revolutions per minute) the engine is clocking. The speedometer is probably the most important dashboard display in the car. It tells you how fast your car is traveling, in either miles per hour (mph) or kilometers per hour (kph). The RPM gauge tells you how hard your engine is working. 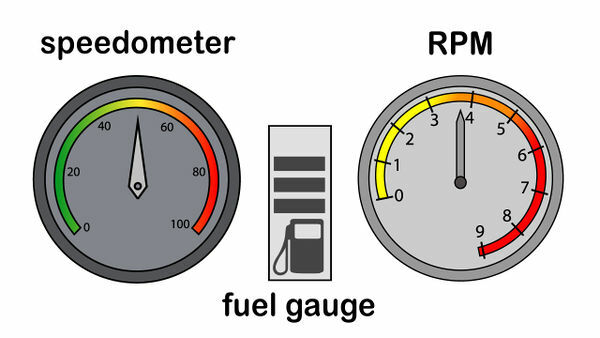 Most RPM gauges will have red areas starting at 6,000 or 7,000 RPM. When the dial in the gauge, travels into the red, learn to ease off the acceleration. The fuel gauge tells you how much fuel your car has left. It usually has a dial, like the hand of a clock that travels between "F" and "E," with "E" signaling "empty" and "F" signaling "full." 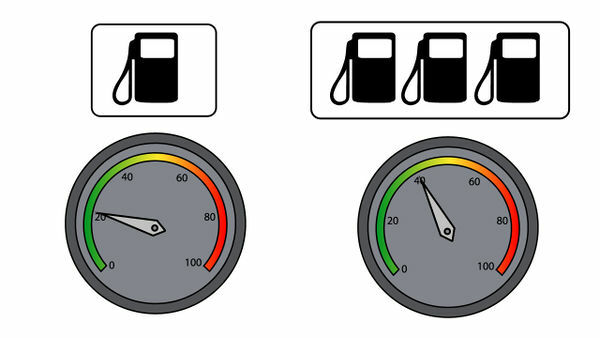 Some more modern cars have digital fuel gauges; where electronic bars are displayed like the battery symbol on a mobile phone, and gradually decrease in quantity depending on how much fuel is in the car. The temperature gauge in the car tells you whether your car's engine is overheating. It usually has a dial that travels between "H" and "C," signaling "hot" and "cold." Your dial should normally be in the center of the gauge. In most places in the world, driving without wearing a seatbelt is illegal. Seatbelts greatly reduce the possibility of serious injury or death if you happen to be involved in an accident. When you turn it on, the car will move forward by itself if your foot isn't on the brake. With your foot on the brake in starting position, you're ready to start driving! Put your keys in the ignition, which is usually to the right side of the steering wheel, and turn clockwise. Note that in some newer vehicles, provided the keys are actually inside the car, all you need to do is push the "Power" or "Ignition" button for the engine to start. Fancy! If your car is parked in a car park or a driveway, chances are you're going to need to reverse your car out in order to begin driving. Although it may seem intimidating, there are only a couple of things for you to remember: Put your car in Reverse and double-check. If your car isn't in Reverse, your car won't go backwards. Look over your shoulder and turn your head to get a good view of where you're going. 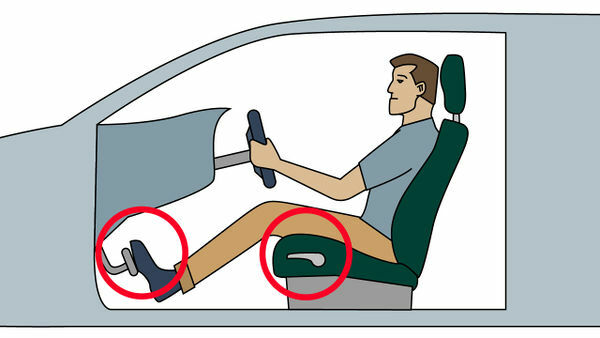 Gently remove your foot from the brake pedal and do not put your foot on the accelerator. For your first couple of times backing out, don't worry about putting your foot on the accelerator. 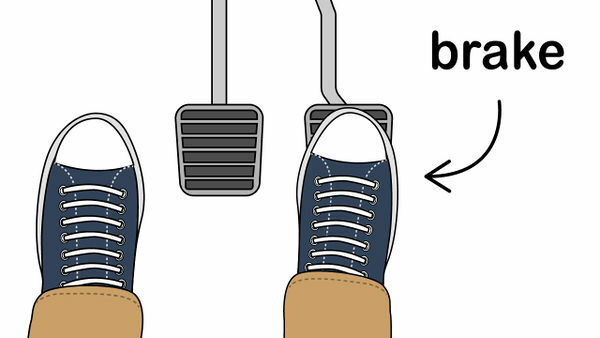 You can move your car simply by removing your foot from the brake. Your car will move slowly, but you won't risk accidentally running into something or someone. Remember that the steering wheel is "reversed" in Reverse. When driving your car forward, if you turn the steering wheel to the right, your car will also turn to the right, and vice versa. This is because your wheels turn that way. 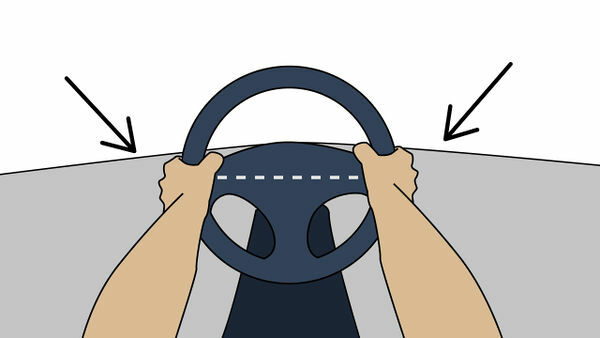 When going in reverse, turning the steering wheel to the right will make your car turn to the left, while turning the steering wheel to the left will make your car turn to the right. Keep this in mind as you back your car out. Use your brake whenever you need to slow down. Press your foot gently but firmly on the brake pedal to slow the car down if necessary. Put your foot on the brake pedal, shift your car into Drive so that it can begin to move forward, and then take your foot off the brake pedal. Slowly press down on the acceleration pedal with your foot to get the car to move forwards. Accelerate until you've reached the speed limit, and then take your foot off the accelerator, hovering it over the brake pedal in case you need to slow down. Imagine that the steering wheel is a clock. Place your left hand where the number 9 would be on a clock, and your right hand where the number 3 would be. Especially for beginners, do not try to hold the steering wheel with only one hand, because it is you are more likely to lose control of the car, which could cause an accident. Your blinkers are flashing orange lights or red, some cars have red lights as blinkers on either side of the rear of the car, next to the brake lights. They are really important when driving, as they let other cars know that you're wanting to switch lanes or turn in a specific direction. The blinker switch is located on the left-side of the steering wheel. Flick it up to indicate you want to turn right (for turning or switching lanes to the right), or flick it down to indicate you want to turn left (for turning or switching lanes to the left). Turning is quite easy once you get used to it. Like most things when driving, it's very intuitive. If you only need to turn the car slightly, turn the steering wheel in the direction you want to travel but try keeping your hands at the 9 and 3 position. 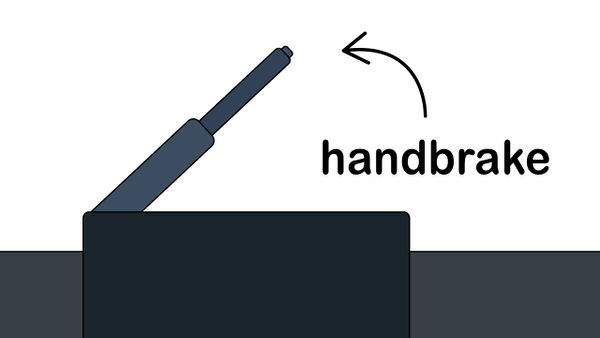 If you're making a harder turn, use the "hand over hand" method. Say you're turning right. Turn the steering wheel clockwise, leading with the right hand. When your right hand gets to the 4 or 5 position, release it and cross it over your left hand. Re-grip the wheel and continue turning. To straighten out the car after a turn, simply loosen your grip in both hands and the steering wheel will automatically begin correcting itself. Apply more pressure to slow down the correction; apply less pressure to speed it up. Your hands should stay stationary as the steering wheel moves back to its original spot. At some point when driving, you'll need to switch from one lane to another, sometimes quickly. Doing so is easy, but you have to remember to indicate to let other drivers know that you're planning on switching lanes. Here are some things to keep in mind whilst switching lanes: Indicate with your blinkers for at least two seconds before beginning to switch lanes. This lets other drivers know what you are planning to do. Quickly scan your mirrors and look over your shoulder to check for any cars in your blind spot(s). Don't just rely on your mirrors to tell you where other cars are; use your eyes to quickly look for yourself before actually switching lanes. Slowly move the car into the other lane. Turn your hands on the steering wheel ever so slightly in order to change lanes. It only takes a very slight movement of the wheel; as most modern cars are fitted with power steering. It should take anywhere from one to three seconds for you to change lanes. Any less and you're doing it too quickly; any more and you're doing it too slowly. How far you should stay behind the car in front of you depends on how fast you are traveling. You want to give yourself two to five seconds to react, depending on your comfort level. If the car in front of you were to abruptly come to a halt, at your current speed, would you have enough time to both react and calmly slow your car down without colliding into the car in front of you? To judge this, watch as the car in front of you passes a fixed object on the road, like a billboard. As soon as the car passes that object, begin counting: one-one-thousand, two-one-thousand, three-one-thousand.... How many seconds does it take for your car to pass the same object on the road? 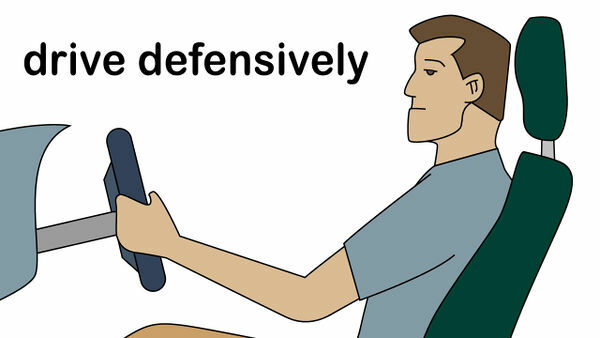 Driving defensively is a very important concept that too many drivers either take for granted or don't understand. Driving defensively will help save you money, ensure a pleasurable driving experience, and — most important — help you stay alive. Driving defensively is an umbrella term for several different concepts: Don't assume that other road users will obey the rules, or pay attention, or be cautious. Rules of the road are enforced to make sure that everyone is safe. Often those rules are broken by selfish or clueless drivers. Don't assume that drivers will use their blinkers before they turn, for example. Don't assume that drivers will slow down for you to merge. Don't assume that drivers won't drive past red lights. If you see a potentially dangerous situation, avoid it before it happens. Don't linger immediately to the right of a big semi-truck, for example. Don't try to pass a drunk driver who's swerving in and out of lanes. Use all your senses to be aware, at all times, of what's happening on the road. Drivers often learn to tune out the rest of the world and "get in the zone," simply because they've done the same thing hundreds, if not thousands, of times. Don't get too complacent behind the wheel. Use sight to monitor other cars' speeds and their habits. Use hearing to listen for car horns and the sounds of screeching. Use smell to be aware of burnt rubber or other caustic aromas that may indicate an accident. On highways, and to a lesser extent on streets, the leftmost lanes are usually reserved for faster traffic, while the rightmost lanes are reserved for slower traffic. It's rude (and dangerous) to tailgate someone going slower than you in the right lane. At the same time, it's selfish to hog the left lanes when you're going considerably slower than other traffic. Get in a lane that's going roughly your speed and stay there until you need to turn or leave the road. Because the general speed of traffic increases going right to left, it's important to pass on the left. You're speeding your car up and going faster than the car ahead of you, so you want to pass using a lane that's meant for faster cars. 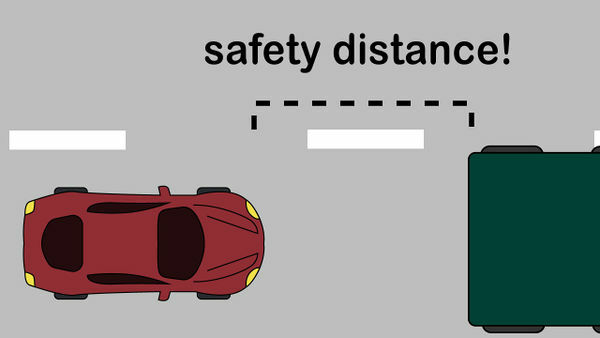 Follow this general rule of thumb even if its not a "law" where you drive! Remember: drive right, pass left. Try to never pass a truck on the right. Trucks and semis are far larger than normal cars, meaning that their blind spots are far bigger. Trucks often stay in the rightmost lanes and switch lanes to the right, rarely switching lanes to the left. Passing trucks on the left, therefore, means you're driving your car out of their territory, lowering your risk. Speed limits are there for a reason. They're not there to make driving less fun; they're there to make the road a safer place for all. 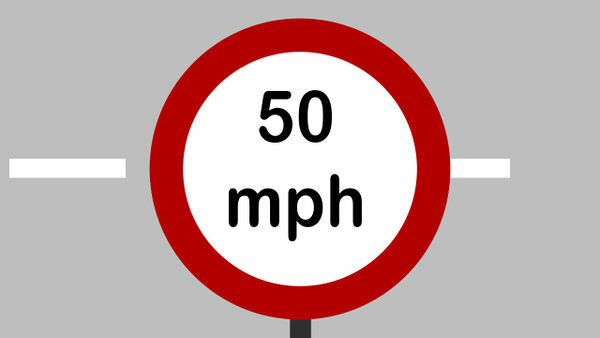 Make sure that at most, you're only traveling 5 mph (8 km/h) faster than the speed limit. At least in America, police officers will rarely write a ticket for speeding if you're only traveling 5 mph (8 km/h) above the speed limit. When the weather acts up, tone it down a notch and drive even more defensively than normal. When it rains, for example, the water interacts with the oil on driving surfaces, making it very slick and slippery. In these conditions, it's hard for your tires to get good traction. In heavy rain, when small pools of water have accumulated on asphalt, you're especially at risk of hydroplaning. Winter creates more difficult driving situations; with colder temperatures aswell as icy and snowy surfaces. Learn how to drive your car during the winter. Being courteous simply means acknowledging that there are other people using the road, each with his or her own agenda, and many of whom don't want to be stuck in their car. Make their life on the road a little easier if it's easy for you; the thought is that they'll pay it forward at some point, and you may be the beneficiary of their largesse. Use your horn to alert other drivers, not to chide them. The horn is a powerful device. Use your horn when someone merges into your lane without seeing you, or when a light has turned green but they're still sitting idle. Don't use your horn because you're stuck in a traffic jam to express your frustration. Use a wave to thank someone. When someone let's you into their lane, wave your hand to thank them. It doesn't take much effort, and it's a nice acknowledgement of "thanks" for keeping you in mind. 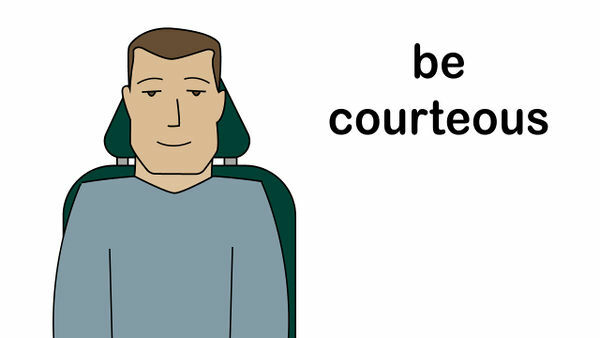 Don't disobey the rules of the road just in order to be courteous. This is important. If you stop at a four-way stop and you get there first, you're the one who gets to go first. Don't stop and let the person who got there after you go. It holds up efficiency and often creates confusion. Driving can be dangerous, and there sure are a lot of rules that you need to remember, but it's important to have fun while you're behind the wheel. Even while staying responsible, driving can be incredibly exhilarating. Just remember that the road doesn't belong to you alone and you should be fine. Parallel parking is when you have to back your car into a tight parking spot, usually a very complex maneuver. There are a couple tried and true tricks to parallel parking, which you can learn here. A very important part of urban driving. Merging onto a highway can be a difficult thing to do, especially if the traffic is denser than expected. The important thing to do here is to accelerate enough and judge whether you're going fast enough to fit safely between two cars. They may not be popular in America, but if you've ever driven outside the U.S., you'll know that they can be quite tricky. Often used instead of stop signs, roundabouts are efficient but need to be understood before conquered. 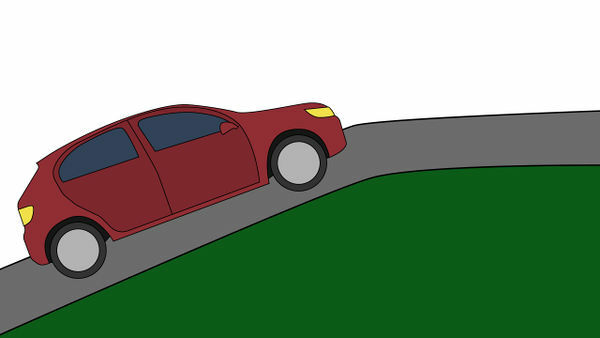 Driving uphill can be a challenge, particularly if you're driving a manual car. Master the art of downshifting when going up a steep hill. With the rising cost of fuel, driving smart means more than just avoiding accidents. Those drivers who can save fuel while they drive ultimately have more money to spend on car accessories.